Dwell Studio & The Shade Store shared suggestions on what to gift this Valentine’s Day in our guide, here are a few more picks to perk up your place. While we all LOVE custom decor, there are times when a quick fix is in order. A last minute dinner party, parents in town, apartment on the market, et cetera, warrant eye – catching patterns. 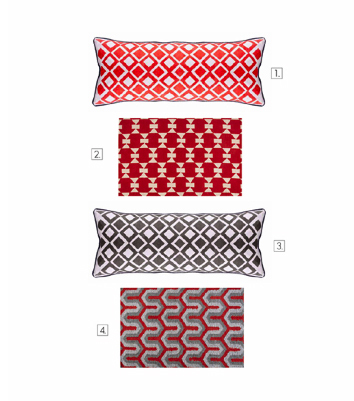 Call on geometric throw pillows and dhurries like these to do the trick. Liven up that sofa!